This village does not have any road connecting with the outside world. Therefore there is no necessary to what we called car except carrying heavy load. 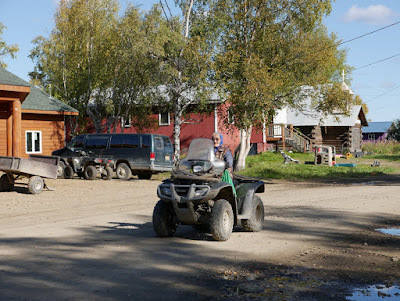 The village people are using a four wheel buggy for moving within the village. Everybody from children to elderly are using it. To learn to drive it is easy with a semi-automatic transmission and a four-wheel drive for a mud. They use it not only for moving themselves but use it to trail a small trailer and a boat trailer.